Old Mutual Financial Advisor Darryl Sawyer has made us a generous offer! R50.00 will be donated to Alpha Step Educare – which we will use for upgrading playground equipment – for every R250.00 and above investment taken. Please mention that this is a referral from Alpha Step Educare when making contact with him. A number of parents are concerned about the affordability of sending their children to university when they have matriculated. 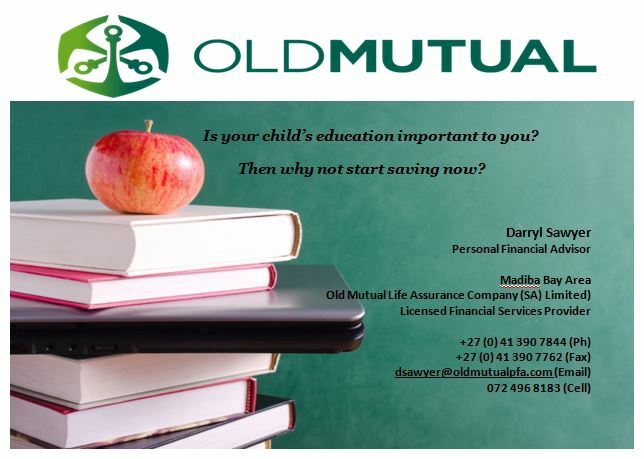 If you plan now you will be able to assist your child and ensure that they have the bright future that they deserve. It is a proven fact that university graduates have greater prospects in the job market than those without a tertiary education.